The New Blue Orange – Dependable as Ever! Dorp Street Deli Review – Great burgers! 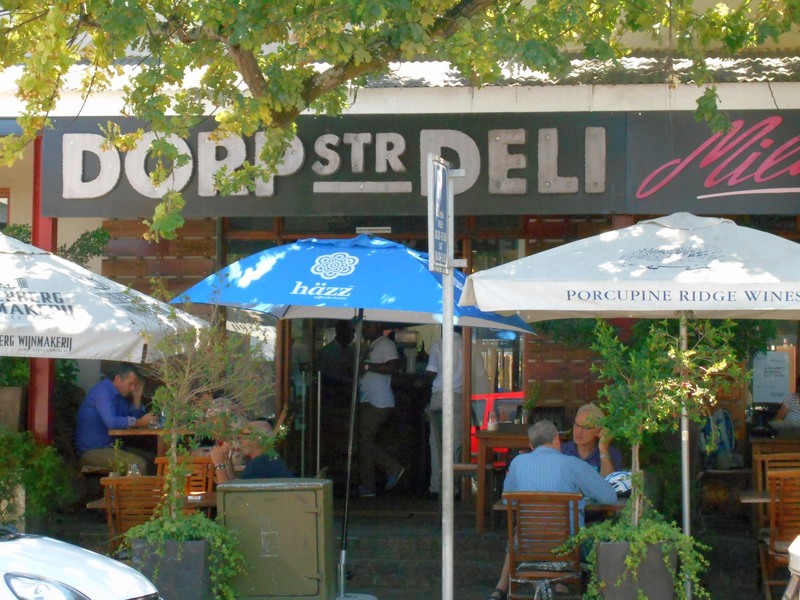 The Dorp Street Deli (DSD) experience was not entirely new to me as I’ve had a burger there a couple of years back, and really enjoyed it then. Considering the amount of restaurants I want to visit in the next 2-3 months (Check out my list!) you may well wonder why I then decided to go back to one I’ve been to before?! Well, that would be because 1 – DSD always looks enticing when we drive by, 2 – it is fairly close to where we live and therefore an easy option for lunch and 3 – the food should be good if past experience is anything to go by. I’m afraid my pictures donsn’t do the Deli justice, but trust me – it is a lovely spot to sit outside and enjoy a glass of something cold. I wasn’t really planning on writing this review as I didn’t take enough pictures to show you, but I decided to go ahead anyway as I can still put into words our experience of Bistro 13. I often find it very hard to take pictures of food when out with a group of people, especially in the evenings when the use of a flash may disturb other diners, and this was the case here; I just couldn’t bring myself to take numerous pictures while everyone else just wanted to enjoy their dinner. Over lunch it is easier to take pictures of food without being too conspicuous or upsetting others, so expect to see more lunchtime reviews than dinner reviews here! On yet another lovely summers day we had lunch at Sansibar, which is the bar and more informal restaurant at Asara Wine Farm. Asara Wine Farm houses a large hotel complex and in addition to the two restaurants and deli also offers wine tastings. 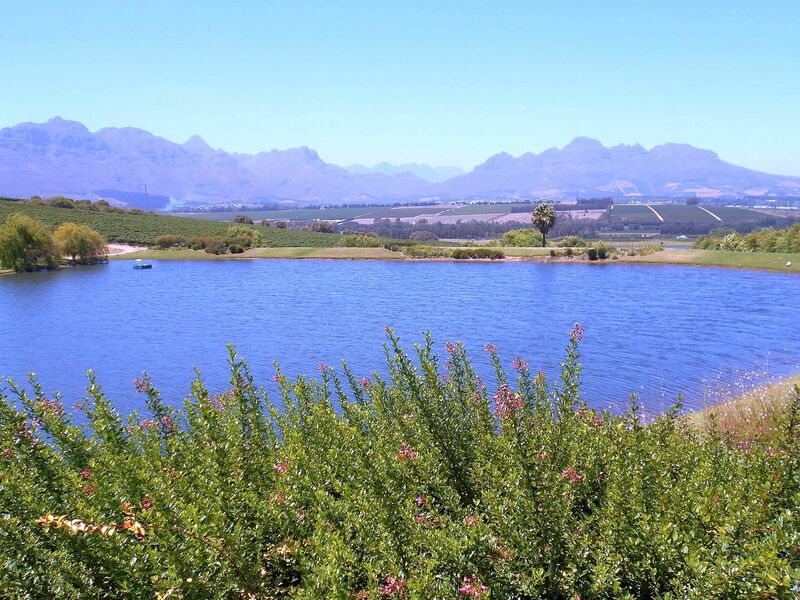 Like a lot of Winelands wine farms Asara has some great views and seems very popular with foreign visitors. According to their website Sansibar is open Monday to Sunday from 11:00 to late and when we arrived just after twelve there were already a couple of people on the terrace for lunch. Service was good, as should be expected from a five-star hotel and award-winning wine estate. We got a table outside on the terrace with views over the mountains and started perusing the menus (not that I haven’t already studied it on the internet of course!). The lunch menu is quite an informal affair, with some what I would refer to as some pretty standard pub classics; burgers, fish & chips, club sandwiches etc. It is a solid enough menu but with little on offer for vegetarians other than a couple of cheese options and nothing at all for vegans. Asta Italian Restaurant – and being a regular! 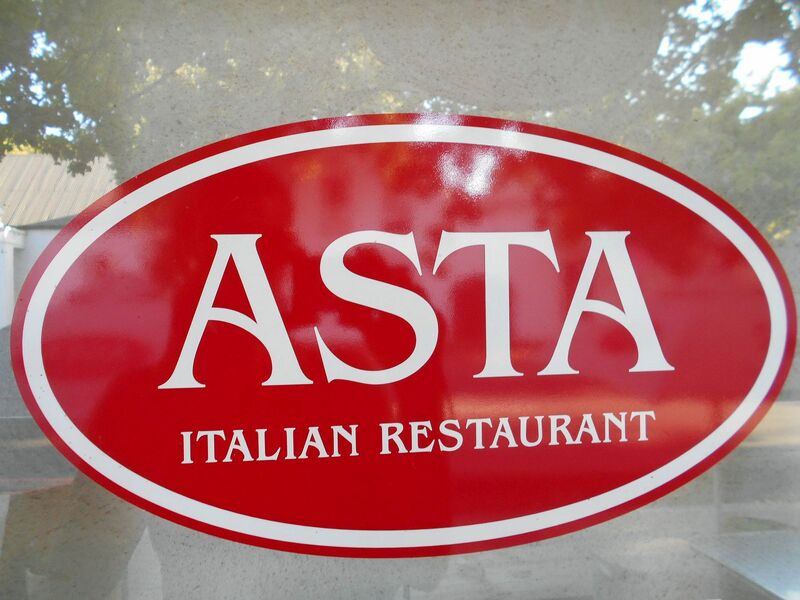 Last Thursday we had dinner at Asta Italian Restaurant in Stellenbosch. We’ve been going to Felix, Rosa and sons’ restaurants in various guises for many years (from the Al Frascati days! ), and Asta in Dorp Street is the latest, and possibly best, version. The restaurant is not that easy to spot unless you know what you’re looking for, and situated in one of Stellenbosch’s lovely old buildings, with a ‘stoep’ where you can dine and watch the world pass by.